9/9 - 3:45 p.m. - Custody of Miles has been transferred to the Albemarle/Charlottesville Regional Jail.No bond hearing has been conducted yet, as Miles is still receiving treatment at the UVA Hospital. A bond hearing will be conducted when Miles is deemed fit to participate. Until that time, he will remain under the supervision of Albemarle/Charlottesville Regional Jail personnel at the hospital. Per department protocol, all involved officers have been placed on administrate leave while the case is investigated. CHARLOTTESVILLE, VA- On September 8, 2018, at approximately 8:43 p.m. officers responded to multiple shots fired in the 800 block of Hardy Drive. While collecting evidence and canvassing the area, officers received additional information that the possible shooter was located inside a residence in that area. The officers attempted to make contact with the residents. 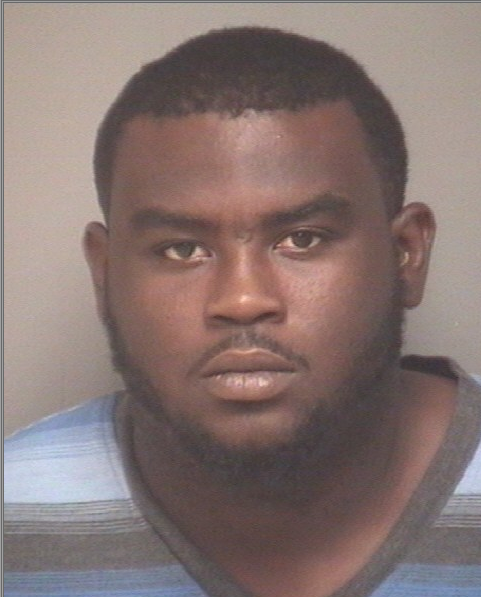 They encountered the suspect, Timothy Lamont Miles (27-year-old male) from Charlottesville. During the encounter, the suspect who was known to the officers exchanged gunfire striking one of the officers in his vest, and possibly grazing the second officer. The suspect was also struck multiple times. The suspect’s weapon was recovered at the scene, and the round fired by the suspect was also recovered. The suspect and the officers were transported to UVA for treatment. The officers are both in stable condition. Miles underwent surgery at UVA Hospital and was last reported to be in stable condition. The suspect has a history of brandishing firearms, burglary, multiple assaults, resisting arrest, and numerous other charges. The suspect is also currently wanted on a warrant for failure to appear in court for shoplifting. After consulting with the Commonwealth’s Attorney, Miles was charged as a violent felon with a gun (Code of Virginia 18.2-308) and attempted capital murder (Code of Virginia 18.2-25). Miles was served those warrants, as well as one outstanding warrant, at the UVA Hospital. Miles is still receiving treatment at this time. He is expected to have a bond hearing later today, once he is deemed fit to do so by UVA medical staff and the magistrate. We will continue to confer with the Commonwealth Attorney regarding additional criminal charges. Please note, as this matter is still under investigation, we are downloading all body-worn cameras and video evidence related to this matter.